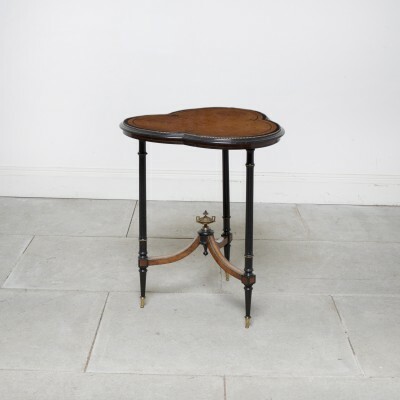 Victorian amboyna and ebonised clover shaped occasional table with gilt urn and beaded embellishments. Copyright: David Bedale Antiques. All Rights reserved.